Longing for a catering menu Bushnell that won’t leave you sidelined during your next event? Let Beef ‘O’ Brady’s catering team tackle the work so you can focus on having fun. Want restaurant specials Bushnell? 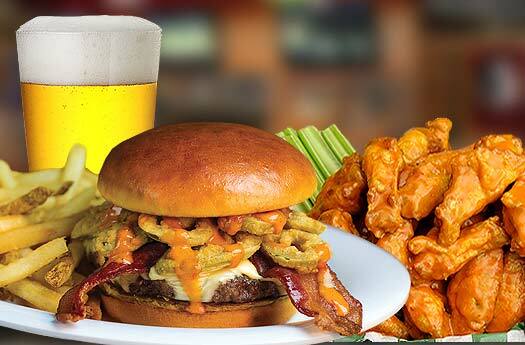 At Beef ‘O’ Brady’s we offer three delicious restaurant food deals to start your week off right including Burger Mondays, Tacos on Tuesday and Pizza & Wing Wednesdays.